This scenario requires an alien creature with a decent chance of defeating a modern armor in a brief combat. At least as large as a horse, but not much larger than a semi-truck. Purely organic, and obeying normal laws of physics. It should be something that could survive on earth and reproduce. 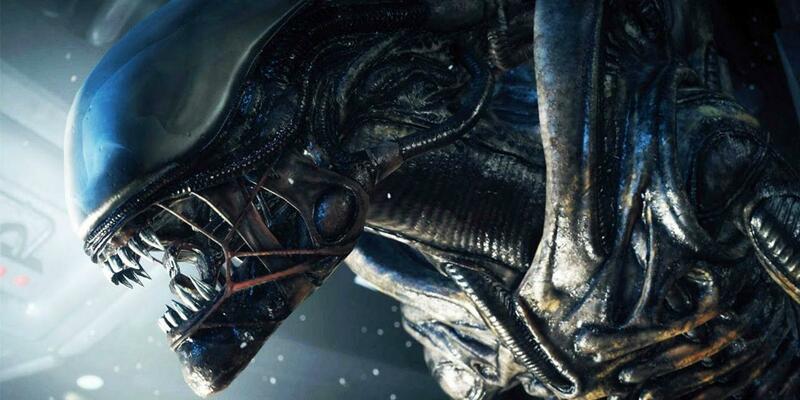 The alien should fight with minimal or no tool usage, and without using other organisms. Preferably a creature with an aggressive or violent temperament. It enters combat with fuel and ammunition, and in good repair. Similar to a M1A2 Abrams. This scenario does not consider aircraft, or other support for the modern armor. We use steel armor because it can stop the most deadly weapons that humans have invented. We then left steel armor behind because humans invented more deadly weapons. Modern tanks are pretty darn hard to beat down using just organics. Accordingly, the alien could use an approach similar to the Hagfish, producing large quantities of sticky slime. The idea is simple. Modern armor makes assumptions about what an opponent can and cannot do. Covering every air-inlet with slime is not something that modern armor was designed to oppose. Once your air filters are all jammed full, your engines are shut off and you're sitting ducks. Wait long enough, and it will get pretty stuffy in that tank. Charging down a tank is pretty hopeless. Tank v. Rhino -> Goodbye Rhino. If anything gets in the way of a tank's main weapon it is also game over. So what can stop a tank? Well even an M1 can get stuck in soft ground. My image is of a trap forming species. It tunnels underground forming caverns, with a fairly weak covering of surface soil and a sticky mud (made stickier by the addition of its saliva) underneath. When the tank goes over, the soil cap collapses, and the tank becomes mired. Getting out of the mud is possible, but it takes time and the personnel need to get out of the tank and dig. When they do, the animal strikes from side tunnels it has made specifically for the purpose of moving from one trap to another. It evolved to prey on large animals: rhino, elephant or iguanodon, which it captures in the same way. Animals will at times become stuck in waterholes which leaves them open to predation by lions. This animal has evolved to take advantage of this kind of situation by creating its own traps. However, To subdue a large animal like a rhino, it would need to have some kind of venom, perhaps one that causes rapid paralysis, since if the rhino (or tank) can escape then the rhino has the advantage. The overall image is an animal that has evolved to hunt Elephants in the way that a spider hunts flies. Its traps can disable a tank, and attempts to recover it leave the crew vulnerable. The only reasonable defense an animal might have against a tank is to be able to stalk it out of sight until it's very close. Then it has to get onto the tank as quickly as possible. The weaknesses of tanks are visibility and limitations on gun orientation, so once the animal has climbed onto the back of the tank the crew have no way of dealing with it. But maybe it can do this without being noticed. Of course, it has very limited options for breaking into the tank. Maybe it can unscrew things or put rocks in the air intake. Tanks can remain sealed against NBC attacks for a long time. As soon as a human opens the hatch, the creature has to rush in in a burst of claws and massacre the squishy humans who are trapped inside. Lets talk of the ways you can take out a tank without overwhelming firepower. You can't penetrate the armour. You'd need some way to mission kill it instead. There's three main options. Disable the engine somehow - something probably best done on a non moving tank . Disable the treads - either by entanglement or damage, or destroying/disabling the main gun. All of these require the creature to get into essentially white of the eyes range. This would need to be fast or stealthy enough to get in close with a tank. The 'weakest' thing it could take out would be the bolts holding the tracks in place. This would mean getting close to a moving vehicle to take down something roughly a half inch wide. You'd practically need a buzz saw or some serious chemical weaponry. Blocking out the air intakes? I've never heard of anyone ever doing it. It would take a massive amount of ... stuff... dumped over the right part of the tank. Might be some kind of goop, ooblec or incendiary. Spiking the main gun would need to involve some extremely specialized adaptations. You'd need something strong enough to deflect a saboted round or set off a high explosive round. I've heard of guns getting their barrels peeled open like a banana by a simple cleaning rod. And well, I'm doubtful the cleaning rod would survive. Alternatively some compound that would foul the barrel - say something like concrete, that dries rock hard. Taking these into account, I'd suspect the ideal tank killer is something small, fast and capable of injecting quantities of hardening substances. Gum up the tracks, main gun or optics and your mission capability is greatly reduced. If the tank has a single air intake, it might be a target as well. That said, such a creature would need extreme intelligence (smarter than the average dog ), be able to carry a compound or binary compound, and avoid getting shot or run over while trying to deliver its payload. Once it has , it actually may stand a better chance of survival. Let's assume, like bombardier beetle your creatures can produce instant violent chemical reactions inside their body and launchs hot mix of acids that strong enough to eat away and penetrate the armour or render the tank incapable to operate. Instead of launching hot mix of acids, It launchs biogical armor penetrating projectile. Since most of the modern high explosives are organic compounds (I'm confident enough to say one determined genetic engineer can manipulate an e. coli genome to secrete Trinitrotoluen -TNT- ). Like dragons breath fire let's assume your creature can manage to produce enough "explosive dung" and launch it with one fart to turn the tank upside down when exploded underneath it. Most military hardware includes nuclear event detectors that will shut down the electronics to protect them from the EMP associated with a nuclear blast. If a small burst of radiation were aimed at the tank the electronics would turn off until the crew manually reset everything. And of course it would be pitch black in there so it could take them a while. Those detectors are usually built into much of the essential hardware and cannot be disabled by the crew. The only way they could be disabled would be to send the components back to the defense contractors who built them and have them modified. The M1A2 is coated with a Chemical Resistant Agent Coating (CARC). If the creature were emit a strong acid that could dissolve both the CARC and steel then it could easily make a hole in the armor. Alternatively, the CARC can be scratched off pretty easily, so if you can scratch enough off you can dissolve the steel with acid that way. Think of the movie Aliens. There is no air conditioning in the M1A2. If you were to heat it from the outside the crew would be forced to come out. But the tank has a lot of thermal mass so that could take a while. You can stop the M1A2 by killing the crew. You can kill the crew if you can pry open the hatch. Pulling on the hatches until the locking pins break is much easier than piercing the armor, but still may require a few thousand pounds of force. The M1A2 uses a jet turbine motor. By its very nature the exhaust port can't be heavily armored. There is a covering over the exhaust, but its not as strong as the rest of the armor. In order for the tank to function the crew needs to see. The M1A2 typically includes optics with infrared and night vision. These are the primary means by which the crew can tell what is going on. If the optics were disabled the crew would be forced to use the manual port holes. Those port holes have much more limited visibility than the cameras. Due to the limited visibility they may be tempted to open the hatch to get a better view (at least until they learned better). The infrared camera only works if the creature is emitting some heat. So cold blooded would be helpful. All of the cameras have exposed lenses. If the lens were to break the camera wouldn't work. The lens could be smashed, dissolved, or covered with some opaque substance spit out by the creature. If the creature emitted some sort of mist they would be unable to see or target it effectively. The tank itself has smoke grenade launchers for that very purpose. The tank has various antennas that stick out for radio and GPS. If they were pulled off the tank would be unable to call for help. Another way to get the crew to exit would be to emit a strong horrible sound through the armor. Once they opened the hatch the hunt is over. The main 120mm gun on the M1A2 is very powerful but has a low reload speed because a crew member has to manually change each bullet. That could take around 6 seconds between shots. If they miss the first shot that gives the creature plenty of time to get close without worrying about the main gun. The turret has a 50 cal machine gun mounted next to the main gun on the turret so the creature would still have to avoid that while covering the distance. Its a bit out of scope for this question because the creature would have to be small, but just after firing the main gun, the next action the crew takes is to open the breach and reload a round. With the breach open, there is a direct route from the tip of the main gun barrel to the inside of the crew compartment. An intelligent snake like creature with a diameter of less than 120mm could theoretically crawl right up the barrel and into the crew compartment while the crew was reloading. It would need to have tough skin though because it may suffer burns crawling through the barrel. Most animals become injured when they are punctured by a bullet because it ruptures blood vessels and destroys organs that there may only be one or two of. But creatures with different anatomy may suffer far less damage. For example a sea sponge has no internal organs and is essentially homogeneous in construction. You can't really kill it by putting holes in it. A creature that didn't have a pressurized circulatory system wouldn't bleed out. A tree for example is able to live and regenerate even if its cut down to the stump in many cases. The question specifically states the alien must be capable of defeating a modern heavy-armor unit similar to (but not necessarily the same as) an M1A2 Abrams tank. The tank may not have its full support network necessary for prolonged operations ("this scenario does not consider aircraft, or other support for the modern armor"), essentially meaning "the alien must be able to defeat a vehicle similar to a modern heavy-armor tank in a single battle." What does a modern tank have? Very heavy, durable armor. Layers and layers of steel, hardened ceramics, depleted Uranium, and coated in CARC. Modern armor is exceedingly resistant to piercing attacks (think armor-piercing rounds), chemical agents, and small-arms fire. Ability to deal with a variety of terrain due to its treads and decent speed. Powerful primary weapon, a turret that fires slowly but can heave a projectile with a large amount of mass and kinetic energy toward an enemy. Powerful secondary weapon, machine guns that can fire powerful small-arms fire very rapidly. It is difficult to defeat a modern tank with anything short of air power (drop a large conventional bomb from out of range and you can defeat almost any ground enemy that lacks the ability to fight aircraft). Flying aliens likely do not have bombs they can drop, so we need something that has enough counters for the bullet points above. Enough armor to survive at least one hit from the primary weapon, and many hits from the secondary weapon. Either speed to outmaneuver the tank's weapons, or even more armor to withstand multiple hits. Some means of dismantling the tank's substantial armor: either the strength to tear part its formidable armor, or a chemical agent that reacts with the steel, ceramics, depleted uranium, and CARC of the tank. The good news about CARC is it is designed to withstand chemical agents that harm humans, not armor. Needing to wear chem warfare gear inside the stifling heat of a tank would be cruel and unusual punishment for soldiers. I envision two archtypes of aliens that can deal with this. The strong alien would be on the medium size between horse and semi, maybe as big as the tank itself. It would have hard, thick armor with angles to deflect projectiles. It would be fast and agile for its size, with many strong muscles. It would approach the tank quickly, sidestepping along the way like a crab to make it difficult to target. While it can absorb a hit from the cannon, and can take a bit of machine gun fire, it does not have enough armor to take much more than that: speed and agility dictate its mass cannot be too great. Once it reaches the tank, it would find any crack or crevice possible and use its strength to pry the tank apart. Perhaps it could pull the turret off, or use enough force to damage it to the point of being useless. It could attack the treads, bending the wheels or even pulling the treads apart to immobilize it. It might find the air intake and exhaust ports (both soldiers and engines breathe and exhale), and rip them apart. If it can choke the air intake, it wins the war of attrition. Even if it cannot penetrate the armor, tanks still have weak points. What kind of alien could attack an orbiting spaceship? Starship Troopers has the answer. What if an alien could concoct an organic projectile built from acid, heated to hundreds if not thousands of degrees? Such an alien would be massive, with plenty of armor to withstand a tank's offenses. Its attack would eat through steel, ceramics, and depleted Uranium. The heat would turn the tank into a pressure cooker. The best part, an artillery alien could lob projectiles from long range, potentially destroying multiple tanks before they had a chance to fight back. This one would stretch the science-based tag a bit. What kind of acid could withstand too much heat before falling apart? How often could an alien fire this biological weapon without recuperating? What are the digestive processes that turn food into a projectile? I do not know, but I imagine this should be possible. If you allow hulk type of strength (but not supernatural), it's not too difficult to envision a creature that can simply upturn/topple a tank by brute force. It doesn't have to be supernatural or supernaturally strong, evolution has produced incredible creatures in the past, we need something with arms/body specifically evolved to push/pull up incredibly heavy loads. Once the tank is upturned, it's useless. Such a creature can also conceivably just pry open the hatch of the tank by brute force. It can get on the tank, take out the secondary gun and then there's nothing to stop it. The tank is useless once the hatch is open and the creature is able to pull the men out. The only other requirement for this creature is that it should be able to withstand the secondary gun of the tank long enough so that it can get close. A balance of natural armor, speed and some form of camouflage may achieve that. You can also add secondary abilities that can assist with disabling tank's cameras etc but they're not strictly needed as long as the creature can withstand the secondary gun just long enough and has the right type of push/pull strength. If you want to add secondary abilities, I like the idea of ranged attacks similar to Spider-Man like webbings (or very thick sticky glue/resin). It can use such webbings to disable the hatch and guns from distance. If the guns can't rotate and the hatch can't be opened because of the webbings acting as glue, the tank is useless. Then the creature can even more safely attack it to topple or open the hatch or whatever. Alternatively, it can mess up the treads with the web but I don't like that idea as much. It can also be smart enough to be able to use the webs to help pull/push the tank and the orientation of the guns. Spiders are naturally occurring creatures so it's not too far fetched to imagine a creature evolved with the same feature. Nature already has examples of animals able to lift weights many times their own sizes and creatures with all sorts of adaptations, so such a strong creature with somewhat specific but natural adaptations is not too far fetched. It might look somewhat like the white apes in the Barsoom series. Poisonous gas or spray that could cover a large area and was lethal to humans in minute quantities. The creature could hide upwind, emit it's poison and the tank would trundle right into it, killing the crew. A huge burrower who could dig a trap underground for the tank to fall into and then bury it in a few tons of dirt. Conceivably this alien could take out a whole line of tanks by digging a tunnel across the battle front, they all fall down it and collapse it on top of them, then the alien strolls over, pats it down and plants some flowers on it. A long, flat, extremely strong alien skilled at camouflage could potentially destroy an Abrams. It could lie on the ground as the tank drove by, then as the tank drove over it, it could flip over, causing the tank to fall on its side. Alternatively, it could stick to the tires of the tank, refusing to let the tank move. If it was strong enough, it could then slither along, still holding the tank, until it and the tank reached the edge of a cliff. The alien could then push it over the brink by letting it go and giving it some impulse. The alien is something fast, sneaky, with hard beak, venomous breath, acidic excretions and grouping behaviour. Not bigger than a dog. Big group of aliens (~20 species) tries to sneak to tank, using environment as cover. And they are confident, that majority of group will not survive, even if the tank is destroyed. They are cold-blooded, Thermal Sensors of tanks are pointless - they are build to detect humans with 37,6 C body temperature and machines with hot engines, not much something cold as environment. Also aliens have camouflage like chameleon or cuttlefish that makes them hard to detect by naked eye. When few aliens approaches the tank, they attach to it and they try to find weak points (like air ducts, visors and so on). Than aliens dissolve tank armour in this points with acidic excretions, and than they eh... breathe and fart into this holes to kill the tank crew. As far as i know, tanks do not have any weapons suitable for killing dog size things on its armour. Some WWII tanks has small holes for handguns, but i think actual tanks do not have this. If any crew member tries to open the manhole and kill alien by handgun, he will be simply outnumbered and tore apart. If he manages to shot any of aliens, he will be covered by acidic blood of it. And other ones tries to infiltrate into open manhole, wreaking anything inside the tank. Even if few of them are killed, anything inside the tank will be poisoned. This creatures have hard beak like cuttlefish - they can knock the armour, the sound resonates in tank, making crew mad and confused. In real live, I have a friend who served in army as tank crew member. He says, if you lock into the tank, and somebody smashes tank armour with a sledgehammer or crowbar, the armour is, of course, not harmed, but anybody inside the tank are very irritated by bangs, because everything resonates terrible inside, and it gives very bad sensations to crew members. When thinking about defeating a tank, consider a tank is nothing more a then 3-6 (in our case 4) people in a armored shell rolling around. A tank without it crew is nothing but a very heavy (and expensive) barrier. Your objective then, can been always be thought as stopping the humans from controlling the vehicle. Either by death, immobilization, inability to project harm, losing the will to fight or incapacitation. In short summary, the most effective organic threat to a tank already exists - The human and it's mind. Creating a creature that has near or above human like intelligence, that is hard to see, even harder to hit and capable of ambushing or otherwise closing with a tank with some degree of speed and stealth. Then the tank is yours. A tank cannot engage at point blank and servery blind to anything in the near range. To kill a tanks occupants with ease, you can attack though the weakest points. This being the optics or the neck of the turret. This could be done with some chemical attack much like modern HEAT weapons, a very high powered thrust of a piercing tip or with enough intelligence you could wait till they open the top hatch and destroy the occupants. If there is some magic of biological evolution, creating a massive shockwave to the roof of the tank which can be done mechanically like the pistol shrimp. If the waves are directed and don't have a chance to disperse in air, the armour works against the occupants and translates the waves into the working area. Such a force would liquefy the small veins inside the occupants and render the occupants promptly dead. Tanks are primarily thought as mobile demolition platform (which supports infantry) or the modern equivalent of fast charging calvary/knights or mobile impervious forward facing, pillboxes, that provide flexible defense against everything. These idea of roles, thus defines much of there power and limitations. Limitations that can be exploited to defeat Modern Armour like the M1A2. As I write below draw from it, the ideas of explotiation. That's truly all that war is. Seizing opportunity and capitalizing on the weak points of whatever you are fighting. Play to your strengths and to their weaknesses. Don't fight a Tank for what it is - a brick wall. Fight it for what it is not - an anti-air or missile defeating platform, an all seeing close quarters killing machine, an fast moving, all terrain, mountain climbing, long range artillery piece. In the case of the M1 Abrams. It was designed to defend against hordes of Russian tanks, and then roll and maneuver with great speed on the plains of east Europe towards Russian heart land. The tank sports a lot of features that helps it one up its prey and allow it out survive its cheaper and more crudely designed counter parts. A short list is that it can lower (depress) it main gun more, accelerate at great speed, shoot father ranges with more accuracy, better gun auto stabilization, better tracking of threats and exceptional optics/digitization to name a few. Tanks and even historically all armoured fighting units, due to there exceptional armouring have always had to strike a balance between mobility, visibility and dexterity to achieve a high level of functional armour. Sacrificing movement speed for armour, destroying visibility in a enclosed hull, helmet or shield fort to provide the highest degree of protection from threats of all angles (Since the Romans), some removing the top turret and non forward facing armour to provide the most armour where it is needed. The M1 overcame the mobility issue for its heavy tonnage by placing a jet engine within its body. The jet engine provides exceptional acceleration and mobility infers the following major penalties. Loud with a unique sound signature. The American idea was that they wouldn't try to sneak the tank around a quiet battle field, stray far from infantry nor would they stray far refueling and logistics. All, if by factors of war, become not true - puts the tank at a severe disadvantage. In a tank vs tank scenario, unless your tank is offline - you wont be hearing the enemy tank from inside your tank. With the concept of a organic beast, it could produce no noise except for the impact of "feet" on the ground - which could be organically muffled. A tank like a M1A2 could be detected even idling at great distance to trained ears. The heat produced from the tank is impossible to despise, even when idling. Any creature that can see heat, would be at an exceptional advantage against any metal armour - as it would heat in the sun, and be exceptionally hot if running. In open face to face combat. See Rhino vs Tank. Your creature would require nothing more then a faster speed then the turret could traverse. Once it gets closer human powered machine guns would open up on it. However if it was armoured, that could be defended against. If was wasn't, it would have to dodge human manned fire in great volumes which would be difficult unless it was hard to track or see. Also the humans could be surpressed from ever exiting the vehicle, thus defeating the use of external guns. Tanks are in no way as flexible or as agile as a human with a gun. They exceed in speed but not always mobility. Exploiting that is critical. This can be done though the use of ambush, stealth, ability to traverse different terrains or speed. A slow moving large target, would never survive against a tank. It just drive away and pummel it from whatever distance it could muster. Presuming the weapons are strong enough to hurt your creature. Adding to this. If we keep with your idea of aggression (probability, all the time). We do not want to be some form of trap door spider or incredible horse sized tunnel worm that only works purely on ambush. So at this point your becoming limited to a fast moving or limited sized (horse) unit. Slow, large and ranged unit - isn't effective, unless it mimics the AT properties of a modren HEAT round. If your creature was social you could look at the idea of a wolf. Because a tank is limited at shooting one thing at a time, and whatever it is trying to shoot at it - it has to hit it with a 7.62 to 120mm sized round. Again with the top surpressed, limited to one thing at a time (without CROWS). So in the wolf or really Bug/Zerg/Tyranid/Hord style combat scenario, the tank is quickly overrun even when faced with fighting the units head on and/or in ambush. The reload time of a M1A2 is about 5 seconds. If the unit(s) can close the gap after a miss or a single successful hit, it is again over for the tank. The tank is also susceptible to prying motions, with enough strength the barrels, tracks and neck collar can be damaged with far less force then which is needed to punch though composite ceramic, steel and DU. The alien comes to mind. An intelligent creature that can understand the workings of a tank and is able to exploit its vulnerabilities. It could sneak onto the tank and disable some system such as an antenna or a camera and wait for the crew to open the hatch, then attack. assuming your animal does not have to survive the encounter, having some kind of large hard spike, maybe a big tusk or horn, that it can jam into the gearing and break the treads is your best bet. I know of a modern tank in Germany that broke a tread during training and the people were stuck in the tank because a pair of wild boars were climbing all over it and attacking anyone who tried to get out. It's actually very hard to shoot something squat on top of or close to the sides of a tank. They ended up radioing for help. The beings are living in colonies on their home planet. They are relatively small, not bigger than a housecat. Their method of hunt is as follows: They have superb stealth capabilities, they are ectotherm and have excellent camouflage and cover-the-track abilities. Their targeted prey is homeotherm which is detected by eyes which see mostly in infrared range. Once the target is alone (!) and in reach, the colony fires spit-balls consisting of two components: A sedative nutrient solution (so that with some luck the target does not recognize that something sticks to their skin) and a bacteria colony which live in symbiosis. The bacteria are using the nutrients to spawn themselves, creating toxic byproducts and much heat. They are thermophil and use oxygen, the higher the body temperature of the target and the faster the target moves, the better (in a certain range - higher than 120 °C kill them, too). The solution also contains tracers so that the colony can trace the victim. After the victim died and they have found it, they literally enwrap the victim and digest it completely. No bones, no muscles. You can as human survive if you wash yourself completely at once and escape, it takes some times until the bacteria or solution takes the effect. On their natural habitat prey has developed several countermeasures: Being together in big colonies and saving members from an attack, being themselves ectotherm and stealthy, having repellent skin so that the spitballs are dropping harmlessly away. A tank is the perfect target. It is a strong IR radiator and it moves fast. So the tank is targeted and...at first nothing happens. After a while the crew is wondering why it gets so hot inside. Once the heat is unbearable (it is not necessary that the crew is suspicious at first, there are many possible explanations for overheating), they need to come out. If the crew does not use a full ABC suit, the toxic substances will kill them immediately (normally it does not take so long, but much heat and full speed have maximum effect). The crew dies, the colony digests the crew and the only thing remaining (the bacteria are dying after their mission is achieved) is a hot, empty tank cooling out after some hours. Can the alien understand the nature of the tank (a big defensive tool with people inside) ? It could be because it is extremely intelligent, or because his species (or himself) already encountered a tank and thus he could observe his weapons, strengths, and weaknesses. It could also be a hunter type of alien, which is most likely going to observe such a strange prey before acting. Alien can modify part of the ground to root the tank, especially if it can build some kind of quicksands. Alien understands that the metal is going to propagate the sound inside the tank, and will simply hammer at a blind spot to drive the tank's inhabitants crazy and deprive them of sleep eventually. This does not fit the "Brief" point, but if the tank has no way of getting support, this tactic might eventually work. A land animal. √ (Can roam the land but also can swim). Purely organic, and obeying normal laws of physics. √ (But this guy reeeeeaaaaaally defies gravity). Much like the alien in the Alien, your alien will have to use stealth, speed, agility, and intelligence for its benefit. Tanks lack the stealth and the agility, compared to such a creature. You can add some drama with human overconfidence: soldiers operating the tanks underestimate the alien, probably taking it for a mere animal based on it's looks. BTW this is exactly what happens most of the time in Alien series: hunters becoming the hunted. Tanks will not be able to target a creature that rapidly zig-zags, even in a flat desert terrain. A swarm of tanks would have to take friendly fire if aliens are hastily jumping from one tank to another. Armor piercing biological weapons can be useful, such as the acidic blood from the alien. Alien will be able to pierce armor if it can rapidly accelerate small solid objects. Check how Mantis Shrimp attacks. If the alien can throw metal objects of considerable size fast enough, that's practically a bullet, and they may be able to pierce armor. If alien has a tail, they can use it as a whip to do considerable damage. The ends of a whip can travel at supersonic speeds. It may not be hard to achieve hypersonic speeds if the tail is long and the creatures are very strong. If the and of the tail is made of a really hard substance and very sharp, it might cut metal. Another form of biological weapon to use is poisonous gases. Make your alien produce something like Sarin gas. This can be effective even if the crew wears masks, because Sarin works even in very small concentrations. A leak in a mask, or an overconfident crew member not wearing a mask would be enough to generate a panic situation and make a sitting duck out of a tank. Combining a way to slightly pierce armor and then inject poisonous gas could be effective. Most of the time, the latches on top of tanks are thinner than the armour around the body, and intelligent aliens will quickly realize this. Picture a frog. Now scale it up to unreasonably large proportions. Like, almost elephant-sized, and yet still capable of leaping proportionally-large distances. Now instead of webbed, sticky feet suitable for climbing or swimming, give it large, bony/armored foot-pads which can spread to provide a wide base for it's massive leaps, or fold to concentrate force into a devastating kick. And for good measure, lets give it some adaptive coloration like a chameleon or octopus, so that it can lurk in cover waiting for its prey to go by. For close in work, give it a maw full of teeth, and maybe some grasping arms with claws or a sticky tongue or something like that. So now your tank trundles by. From behind a low hill or a scrub of bushes, or maybe from a shallow pond, this massive beast leaps out, landing atop it. It hits with the force of a small car at highway speeds. Not enough to destroy the tank outright, but more than enough to disable its weaponry. The force of the impact rips the top-mounted machine gun clean off the tank, and bends the barrel of the main cannon into a useless wreck. Now at close range, it begins kicking repeatedly -- the cannon mount, the hatches, the periscopes, the wheel bogeys. Anything that looks like it could be a weak point. It sets off a couple reactive armor panels, but its thick hide and bony feet absorb the shock and minimize injuries, and it quickly learns to avoid the remaining panels. Repeated impacts don't penetrate the shell of the tank, but they rapidly hammer the tank into uselessness. Eventually one of the hatches gives way, and it uses its close-in weapons to pull crew members out and lunch on them. Thus sated, it leaps off back into cover, to lick its wounds, rest, and wait for its next victim to come by. How about an insect swarm where the individual insects have venom that could kill a person? Tanks have limited ammunition and cannot kill all targets if they are spread out, so there is no chance of killing all of the threat. Also, tank operators eventually have to get out of a tank, but insects could out wait the operators. A monkey that likes to mark its territory by pooping on shiny things. It hides in the trees, jumps on top of a passing tank, and crawls around up there rubbing faeces on any glass blocks, periscopes or camera lenses it can find. Be quick and sneaky, Attack in groups, get onto tank and stick something long (trunk, tongue, tentacle, tendril) into the tank barrel to set of the loaded shell. Or stick something into air intake of the engine to dosable it. Shell in barrel will be probably not armed, but you might ignore that, or just filling the barrel will be enough to make tank not able to shoot. Why not go with something like the Carnifex, why not have it rapidly evolving over time to meet the needs of its environment. So surely it makes sense there could be a creature that meets humans, gets killed, its species somehow adapts comes back harder than before or its just made of organic armour that is very tough. Not the answer you're looking for? Browse other questions tagged science-based aliens or ask your own question. How to fake alien fingerprints? How horribly would this alien die in earthly conditions? How could we clone an alien?